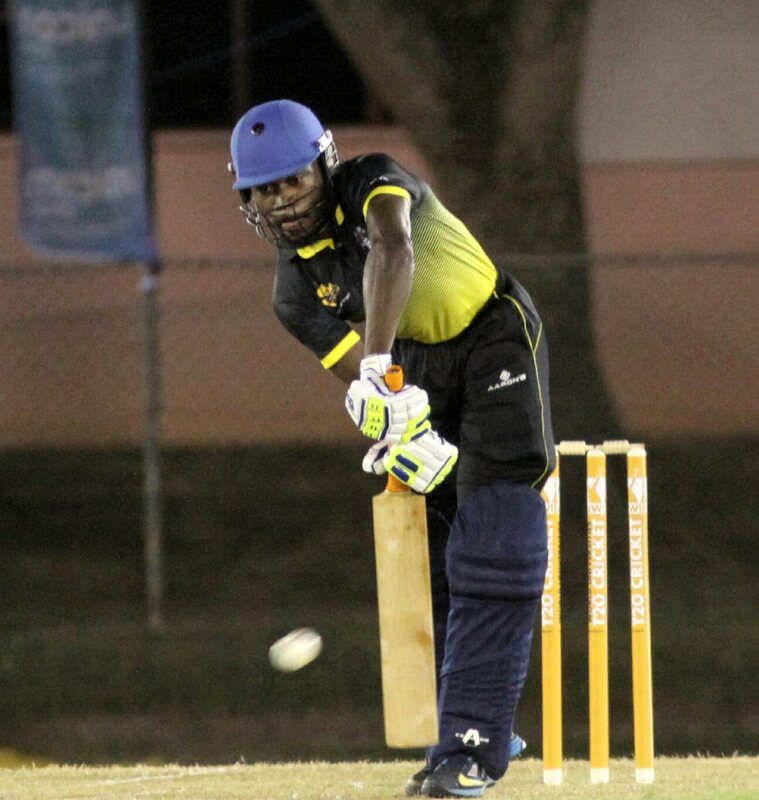 HOSTS University of the West Indies (UWI) strolled to a comfortable 21-run win in their opening fixture in the inaugural UWI World Universities T20 Cricket Tournament on Thursday evening at the Sir Frank Worrell Ground, St Augustine. Batting first, the hosts recovered from a precarious position of 23 for five to end on a respectable 130 for nine from their 20 overs. Their total proved more than enough as their bowlers skittled the Tertiary Sports Association of TT (TSATT) for 109. Sent in to bat by TSATT, UWI stumbled out the blocks as former national youth player Saiba Batoosingh nabbed openers Adrian Ali and Daniel Williams cheaply. Both batsmen were out leg-before for a pair of ducks to leave the team tottering at two for two. It got worse with Amit Sankar bowling out Duane Cockburn for one and then removing national player Steven Katwaroo for ten. Sankar then castled Cameron Pennyfeather to leave UWI languishing on 23 runs with half their batsmen back in the pavilion. However, man-of-the-match Al Small came to the fore and built a patient 46 from 48 balls. He spent 80 minutes at the crease with four boundaries and a six to his name. Stable partners were hard to come by but he did get some support from national player Marlon Richards, who made 16 from 16 (one four, one six). Richards exited after nicking Reinzo Trotmen behind to wicketkeeper Randy Mahase. Small then found a kindred batsman in Rashad Forde, who made 31 off 23. Forde’s knock consisted of three fours and a six as he spent just under half-hour in the wicket. The pair put on 53 for the seventh wicket, moving the score from 60 to 113, before Forde was stumped by Mahase off Mark Deyal. Small then fell to Suraj Seepaul four short of his half-century as UWI got over 120 -- a mark they boasted would be enough to secure victory. Sankar ended with three for eight, while Batoosingh and Deyal both finished with two scalps apiece. In their turn at the crease, TSATT rarely looked comfortable. They were quickly pegged back to two for nine with S Brown claiming openers Mikel Frederick (five) and Deyal (duck), before Mahase fell LBW to Richards for 13. Justin Gangoo (11) then lobbed Pennyfeather to Forde, with Jabari Mills (14) skying Jovan Ali as well to the same fielder. TSATT were struggling to keep the scoreboard ticking and limped to 86 for five in 16 overs, with the run rate climbing. Batoosingh made a battling 29 from 30 (one four, one six), and Seepaul chipped in with 18 (one four, two sixes) to ignite some hope. But with Pennyfeather bowling Batoosingh, Seepaul’s stumps literally being shattered by Richards and Ali (J) upending Ramesh Brijlal’s stumps for three, TSATT needed 22 from the final 12 balls of the match, which proved too daunting a task. Pennyfeather closed out the game with three for 18, notching James Duncan without scoring, gifting his side the win. Today, UWI will face USA at the same venue from 2 pm, with TSATT looking to rebound against a strong Combined Campuses and Colleges (CCC) outfit in the second match at 6.30 pm. Admission is $25 at the gate. Summarised scores: UWI 130/9 (Al Small 46, Rashad Forde 31, Amit Sankar 3/8, Saiba Batoosingh 2/19, Mark Deyal 2/19) vs TSATT 109 (Saiba Batoosingh 29, Suraj Seepaul 18, Cameron Pennyfeather 3/18, Marlon Richards 2/13, S. Brown 2/19, Joval Ali 2/23). UWI won by 21 runs. Reply to "Hosts UWI start Universities T20 in style"